RVA’s killer stores, artisans, and pop-ups make for truly unbeatable holiday shopping. Searching for something unique and special? Look no further than these amazing local businesses for gifts that are truly magical. 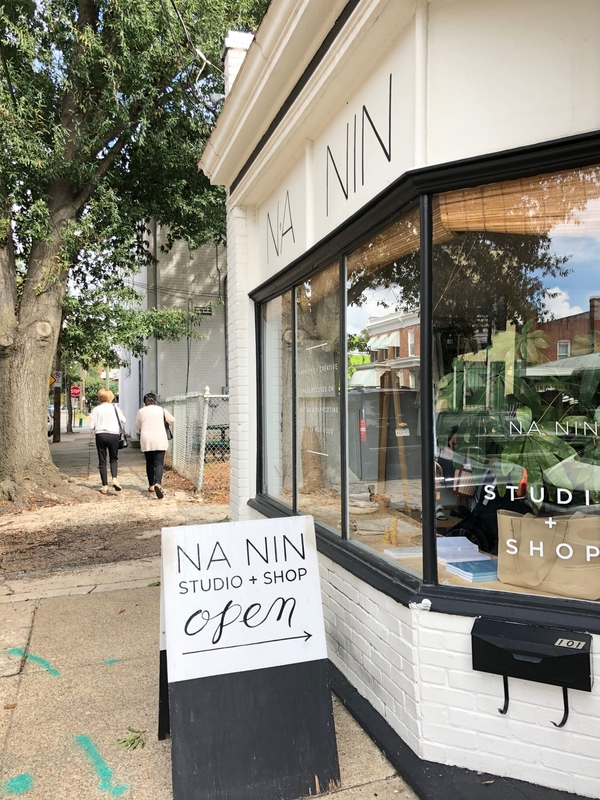 Na Nin: Vintage goodies, an in-house line of gorgeous clothes, and thoughtfully crafted fragrances, candles, and apothecary items. This is where our luxurious, hand-blended candles come from! 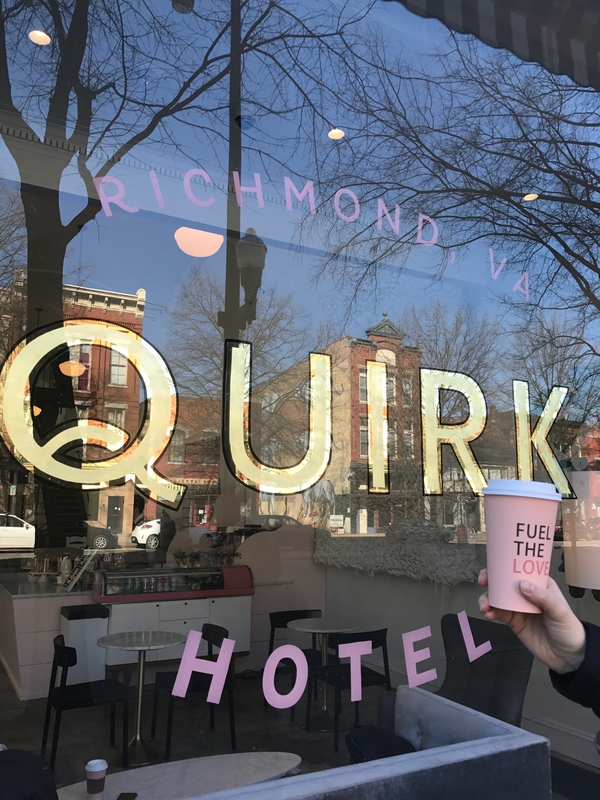 Quirk Gallery: A regularly refreshed selection of artwork, artisan goods, and fun little trinkets curated by the colorful mind behind Quirk Hotel. Stop in on Thursday, December 20 for a pop-up with Holy Chic + Co. and get glam for the holidays. Mongrel: A Carytown institution, and the perfect place to go when you’re just not sure what to get someone. It’s hard to pick a favorite, but the RVA-centric line of candles, cards, and prints are pretty spectacular. Paper Plus: Just around the corner from Om On! Beautiful cards and stationery, plus unique gifts and home decor you won’t find anywhere else. One of our absolute favorite spots for picking up coworker, teacher, and host or hostess gifts. Nine Roses Jewelers: The holidays are unofficially engagement season, so if you’re hearing wedding bells instead of jingle bells, head here for ethically sourced and thoughtfully made sparklers. Create the engagement ring of your dreams with their custom service. Brick & Mortar: This new kid on the block has brought its modern spin on timeless style to Carytown. Visit them for carefully curated women’s clothing, jewelry, and home goods – and a latte from their espresso machine. Ledbury: Give the men in your life a stylish holiday with top quality shirts, sweaters, accessories, and suiting from this RVA menswear superstar. Their shirts are made by hand right here in town! Stella’s Grocery: Spun off of one of Richmond’s favorite Greek restaurants, each of the three local Stella’s Grocery locations stocks wine, cheese, fancy snacks, fresh-baked pastries and Greek goodies that are perfect for bringing to a party. Looking for a great host or hostess gift? They’ve got lots of fun trinkets, too. Sneed’s Nursery: If you’re on the hunt for a fresh-cut tree, as well as handmade garlands and wreaths, look no further. Sneed’s has all your holiday greenery covered. Don’t forget to stop by the glitter cottage for a few new ornaments. Vessel & Stem: We’re huge fans of Vessel & Stem’s beautiful, rustic floral arrangements, and we can’t wait to have them stop by the boutique for a holiday wreath pop-up event from 9:45am to 1pm on December 18! 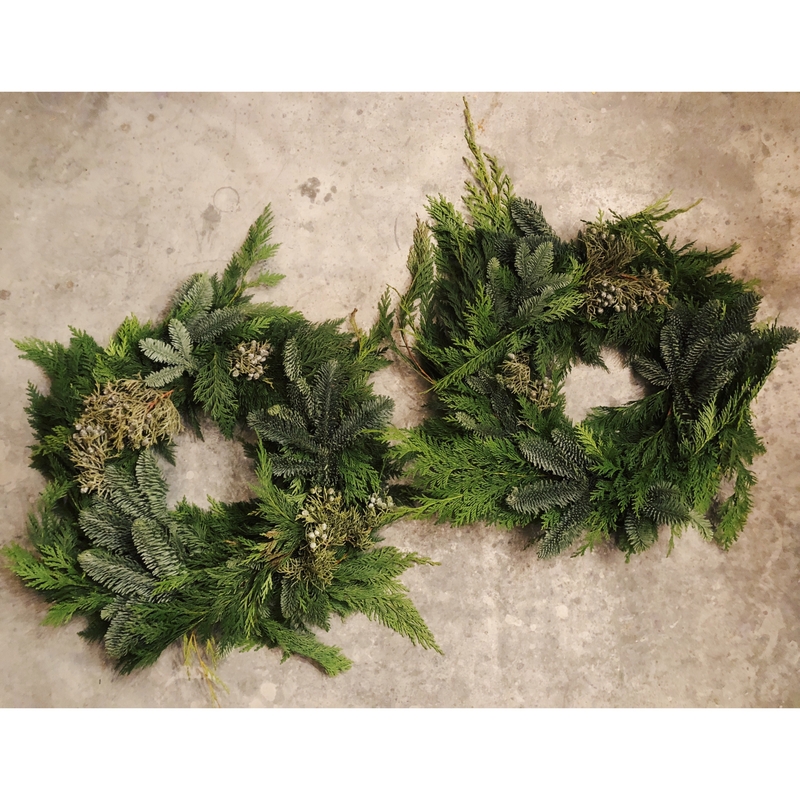 You’ll have the chicest wreath on the block – we guarantee. 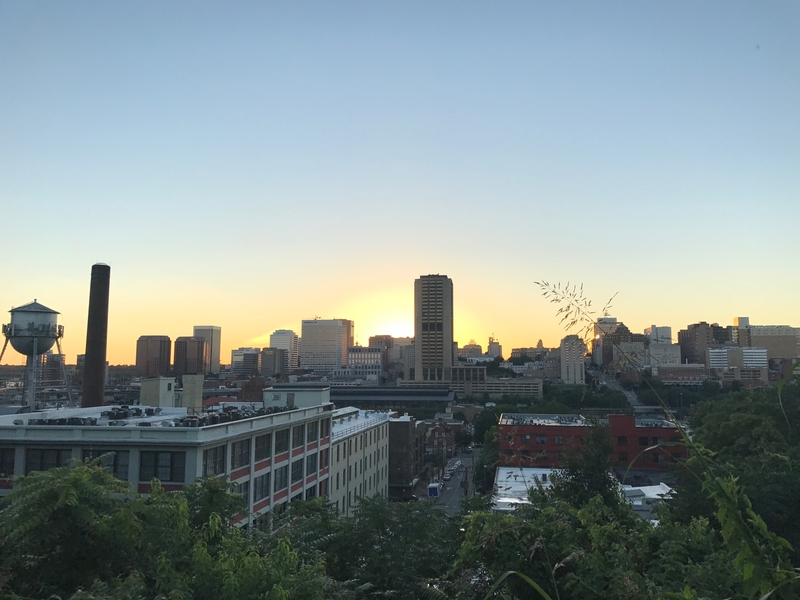 Gifted RVA: Picking out presents not your strength? Gifted RVA creates custom and pre-made gift boxes for every occasion, with a special emphasis on Richmond and Virginia made goods. We’re so excited to be welcoming them to the boutique for our gift box pop-up event from 1 to 6:30 pm on December 20! Of course, we have to give ourself a shout-out, too! Om On’s West End boutique carries a wide selection of mindfully made skincare and beauty products, ethically sourced jewelry, cute yoga wear, and so much more. (Check out some of our holiday faves here.) We’ll be having extended holiday shopping hours all throughout December, so be sure to come visit us soon!